The electric truck manufacturer is limping along thanks to huge amounts of government largess. Nearly every truck it has "sold" so far has been virtually given away, making Smith's customers the clear winners and the taxpayer the clear losers here. 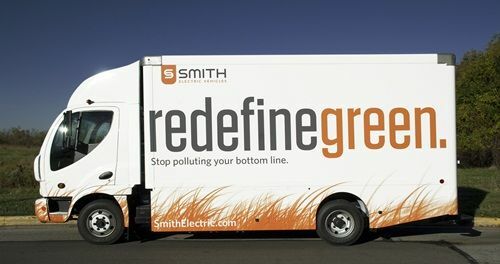 Until late last year when the company pulled its initial public offering (IPO), Smith Electric was one of the most talked about electric vehicle (EV) makers in the country. The company famously sold enough trucks and raised enough investment capital to buy out its own owners in England to make it a fully American EV success story. The company bought out its English parent because that company had lost 97% of its value after allegations that they hadn't used honest disclosure methods became a scandal in the press. Now, since the recent IPO has failed, a lot has come to light about what Smith Electric's situation really is. From that IPO filing (and its withdrawal) as well as other disclosures due to filing requirements with various government entities in order to receive grants and subsidies, a picture of failure and corporate profits at taxpayer expense emerges. When the company recently noted its $8.6 million "bridge funding", it became clear that they are hitting bottom. Bridge funding, or a bridge loan, is a short-term financing plan meant to keep things operational until a more permanent source of income can be found. It is often used to keep companies afloat while they await grants, larger investments, etc. It's usually considered a last-ditch effort to keep a company operational until more formal investment or buyout can be located. Smith Electric has consistently lost money, though that's usually the norm in startups like this. The trouble is, buyers just aren't there for Smith's EVs anymore and they've been slashing production because of it. The ones that were there, were on board simply because they basically got free trucks out of the deal and could promote their own green credibility for accepting the handouts. On the Recovery.gov website, we can see that out of a $32 million grant to Smith, about $27.3 million of it paid for 421 of the company's vans to be built and delivered. That works out to almost $65,000 per truck. Given the number of grants available to the truck's buyers, which have included Frito Lay, FedEx, and more, the trucks can be purchased almost free of charge if they're registered in the right jurisdictions - which, not surprisingly, most have been. *Plus state and local subsidies, grants, and incentives for EV purchases. Doing the math, it's clear that if the trucks weren't free to buyers like Staples, Frito Lay, or FedEx, they were very close to it. These subsidies don't include the heavy incentives and waivers given to vehicle makers like Smith Electric. With a $6 million grant, the company moved production to New York City, anticipating heavy sales there (for obvious reasons). That factory in the Bronx is still idle and empty, though, because one of Smith's problems is that they import their steel from the Czech Republic and therefore couldn't qualify for another grant under the Buy America program without a waiver, which the Federal Highway Administration just approved last week, allowing Smith (and several others) to import steel and still call their product "American Made." New York's voucher program for diesel alternatives was also a big incentive for Smith to go there, since the program gives priority to alternative fuel vehicles built in the state. Similarly, Smith has teased about opening a plant in Chicago if their similar program becomes active. And if the argument becomes that all of this was worth it in order to supply all those green jobs.. the most they've ever employed is 63 people at a calculated cost of only $433,000 per person to the taxpayer. It's unclear whether or not Smith Electric will find more investors to keep its doors open or if the new waiver will mean that the company will suddenly see a sales surge now that they can start production in New York. The cash infusion they just received seems to hint that this is not likely, especially given that no bright, shiny press releases touting how many orders they've received have been forthcoming - something Smith has never been afraid to do in the past when things looked grim. For those with any economic sense, this is just more proof that you can't subsidize a business into success if the market just doesn't need its products. Electric vehicles have their place, but battery electrics in commercial fleets are just not very realistic outside of very, very specific (and thus very limited) markets. At a cost of $125,000 per vehicle, companies would be horribly inept to buy an EV when its diesel counterpart is both already a proven platform and costs less than half that price up front. Given that the battery electric truck does not pay for itself over time, outside of getting a little PR cred for having a "green fleet," commercial buyers are savvy enough to know where the better choice will be.